We had always wanted to go to Australia, and thought our honeymoon was the perfect opportunity for a real adventure before settling down. Having never travelled that far before we were a bit apprehensive about the lengthy flight, but the excitement of our trip meant the time flew by, and we were looked after by attentive Etihad cabin crew. They even made us a card and brought us champagne and dessert, which was a lovely start to our special trip, and on the way home we were very lucky to be upgraded to business class. We decided we wanted a road trip, so hired a car and planned a route covering Melbourne, Canberra, Sydney and Brisbane. We stayed at over 15 hotels during the three weeks which meant there was lots of variety, from the stylish and contemporary 1888 hotel in Sydney, to the more traditional style hotel in Hunter Valley, it was nice to visit so many different hotels. Our favourite place was Sydney with its’ iconic skyline with the Harbour Bridge and Opera House. By far our best highlight was climbing the Harbour Bridge – it was great fun, with amazing views and a unique activity we will never forget. 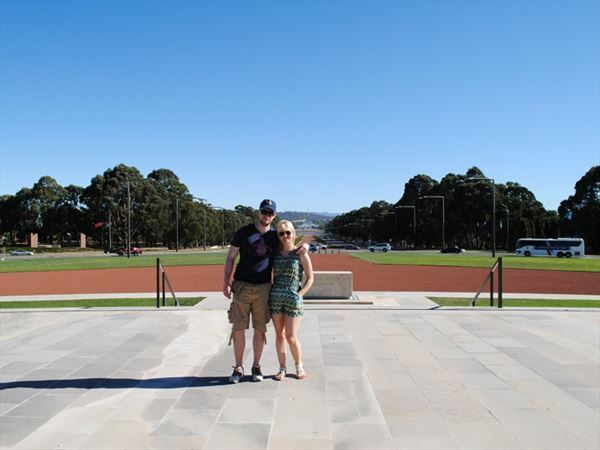 We also visited The Australian War Memorial in Canberra which was a surreal experience and really took our breath away – walking the walls of fallen soldiers and seeing the sea of poppies left by relatives was quite emotional. In Melbourne we attended the 2015 F1 GP, which wasn’t the most exciting race, but the entertainment before and after was thoroughly enjoyable. 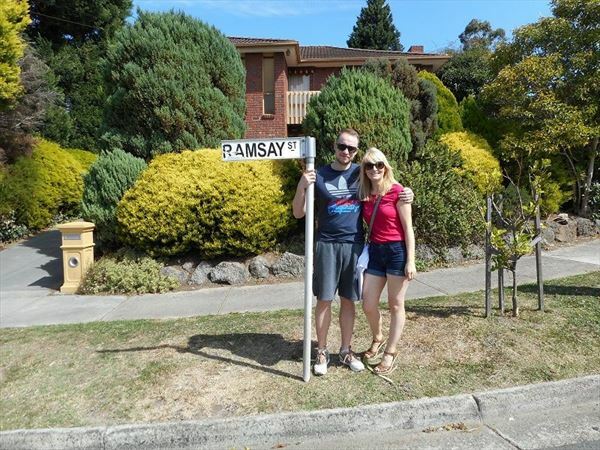 Being 80’s kids, we just had to go on the Neighbours tour which was a lot of fun. During our honeymoon in Australia we saw a variety of wildlife including kangaroos, echidnas and emus…and when we visited Phillip Island we saw wild penguins coming in from the sea to nest, which was an amazing sight. We had assumed that Australia would be full of wild kangaroos everywhere you looked and were a little disappointed to find this wasn’t actually the case, and it took us a long time (nearly two weeks!) to actually see a wild one! We enjoyed some great food on our Australian adventure and found a lovely café in Burleigh Heads called The Pantry, where after brunch we sampled their chocolate cake - it was to die for and their mocha was out of this world! We expected to have an amazing honeymoon, and the places we visited, the hotels we stayed in, the people we met all helped to exceed our expectations. We had 3 weeks down under but we’d have loved to have stayed even longer. We would like to thank Peter & Helen for sharing their story with us and hope to welcome you on another holiday soon..